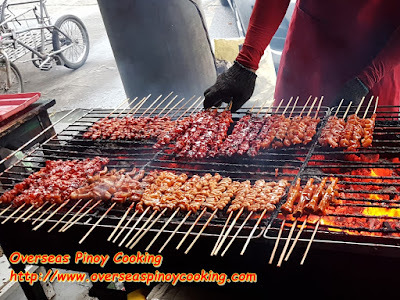 Mang Raul’s BBQ is a popular neighbourhood BBQ stall located in BF Almanza, Las Pinas. 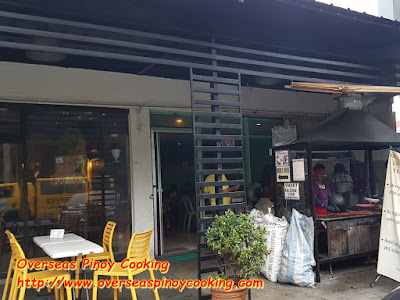 I am pretty sure that you have already seen Mang Raul’s BBQ on your searches if you are one of those who frequently been searching for eating places around Las Pinas, Alabang or particularly BF Homes here in the South. 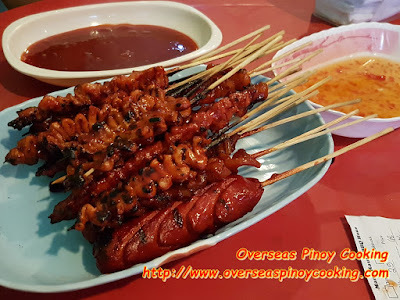 Mang Raul’s BBQ is famous in Las Pinas for its delectable pork and chicken isaw, pork tenga and balat BBQ. What makes it even yummier is their famous sauce. The sauce comes in generous serving of sweet and spicy, and spicy. The prices are reasonable. They to also sell pastillas and yema that I strongly recommend. 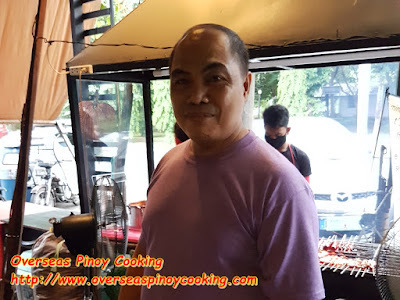 Mang Raul’s BBQ popularity is attributed to good reviews by multi-media, food and restaurant sites. 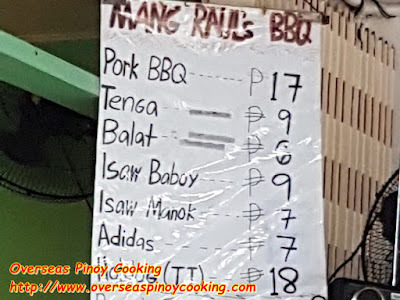 I myself have learned about Mang Raul’s BBQ thru my food searches on Google and Facebook. 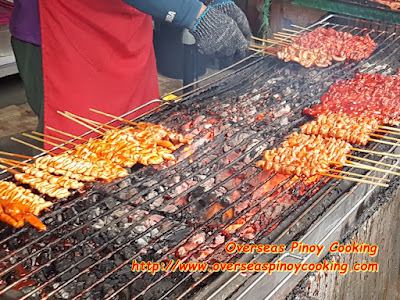 Mang Raul’s is on page 1 on google search for BBQ street food in Las Pinas. Out of my curiosity and fuelled by my love of street food BBQ I have finally made a visit to Mang Raul’s BBQ. 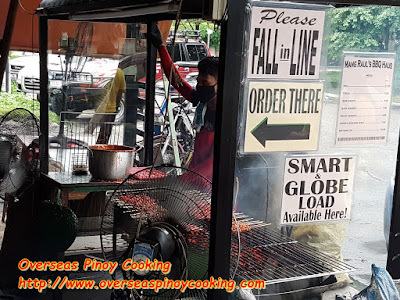 The place is easy to find especially if you are a regular user of the Las Pinas Friendship Route particularly on the Daang Hari -TF Cruz-Pilar-Teressa-Moonwalk section. Parking is not a problem the only setback is the long lines. I do recommend to visit the place early to avoid the daily long cue of costumers. Or to avoid the cue order in advance by text message or via telephone call. Yuppies frequent the place during night time. 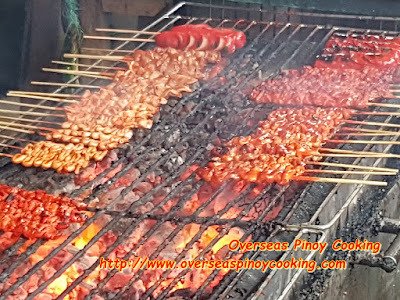 For the record this is not a paid advertisement, Overseas Pinoy Cooking do not do paid post. OPC do regularly make similar post as part of our information sharing and as guide to our readers who may be looking for a place to eat or dine while visiting the subject place.